Going Green on the New Ave - Tips to Get You There! How Green is the New Ave Green? Takoma Park, Montgomery County, and Prince George's County - we pride ourselves on how green we are. Here are some tips for greening your lifestyle on the New Ave.
Shop Local I Use the New Ave to find the businesses and services you need right in your neighborhood to avoid driving those extra miles. On Wednesdays between May and November, the Crossroads Farmer's Market has locally-grown produce, meats, and baked goods. Walk to Shop I With coffee shops, a post office, specialty retail, restaurants galore, and over a dozen grocery stores, the New Ave meets all your daily shopping needs. New sidewalks, crosswalks, street trees, and benches make the New Ave a more pedestrian-friendly destination every day! Bags, bags, bags I Bring them to the grocery store, to pick up Friday night take-out, or when buying socks and underwear. When you see overflowing trash cans make sure to report them to the City, County or the store manager, so trash and other debris do not blow into the Sligo Creek or the Anacostia River. Ride the bus I Make friends, get exercise, lose weight, and catch up on your reading or latest playlist. Public transit is a great way to save energy and money, avoid polluting, stay informed, and get some time to your self in a busy, fast paced world. Buses on the New Ave take you directly to the green, red, and orange Metro lines. Car share I Get rid of your second car and use zip car when you need to double up on the driving. Much faster and convenient than rentals, the more users, the more cars are available. Grow I Start a garden in your back yard, join a community garden or green and beautify a public area. With local community gardens and a City grant to help you start or improve your own neighborhood or institution's efforts on the New Ave you have no excuse not to get your hands dirty. Bicycle I Many residents bike through the New Ave to get to DC, Takoma Park, or the University of Maryland. 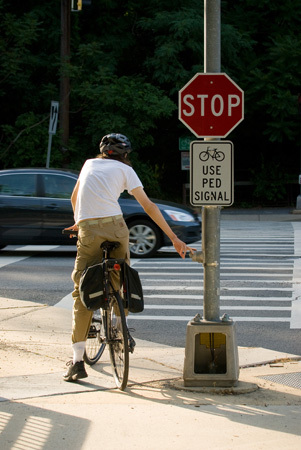 If you're building your bike skills, use the Sligo Creek trail, and venture onto Sligo Creek Parkway on Sundays when it is closed to traffic. There is strength in numbers and many area cyclists take their first ride on Bike To Work Day. 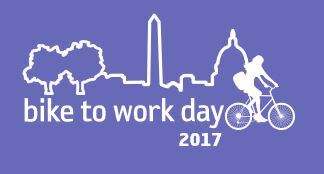 Since 2012, the New Ave has been host to two Bike To Work Day 'pit stops'. Recycle I Colorful recycling containers for bottles and cans are everywhere on the New Ave. Printed in four languages --English, Spanish, French and Amharic-- no one will have an excuse not to recycle. Retain I Hold on to that water! All that rainwater you see sweeping along the gutters carries silt, oil, chemicals and in summer months, warm water into the Sligo Creek and the Anacostia River. Keep rainwater on your property using landscaping, rain barrels and other features, support the New Hampshire Avenue Multi-way Boulevard concept to catch and partially treat water along the highway, and advocate for improvements at the end of streets near the stream valleys. Obey the Law! I Traveling at or below the speed limit saves gas, reduces pollution (so we can all breath easier) and makes our public roadways safer for pedestrians, bicyclists, skate boarders, wheelchairs, pets and others that we share the roadways with. Retrofit I Take advantage of many tax incentives to improve the efficiency of your building and switch to greener power. Even changing to more efficient light bulbs will save you money and reduce your carbon footprint.